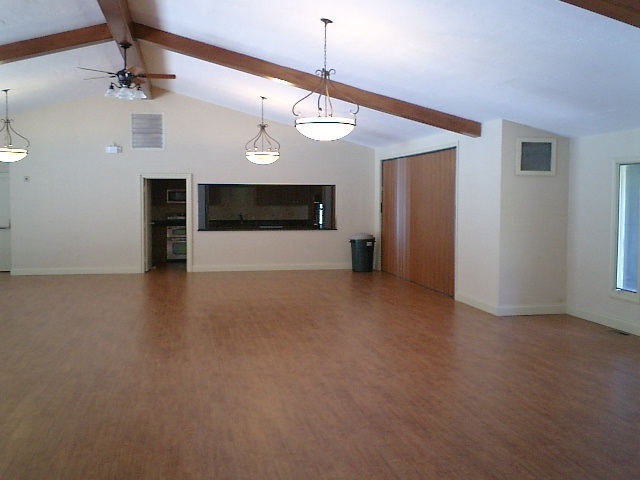 The Ledgewood clubhouse is available for Ledgewood residents only to rent. Please contact our Rental Manager below for details. LEDGEWOOD ASSOCIATION MEMBERS ONLY may rent the clubhouse. Rental application, rental contract and checks MUST be signed by a Ledgewood resident. Check the availability of the Clubhouse with the Clubhouse Rental Manager. A rental application form and rental contract will be mailed to you within 24 hours of contacting the rental manager. Complete the rental application and contract and return it to the Clubhouse Rental Manager along with three personal checks. The first check is a $500.00 security deposit (see below for refund details.). The second check is for miscellaneous rental fees including a $80.00 cleaning fee, $20.00 trash fee. The third check is for lifeguard fees from Memorial Day to Labor Day (see below to calculate lifeguard fees), and snowplowing if applicable. All checks must be personal checks payable to the Ledgewood Association - NO COMPANY OR ORGANIZATIONAL checks will be accepted. IF RESERVATION IS MADE WITHIN ONE WEEK OF EVENT, ALL FEES MUST BE PAID BY MONEY ORDER.. Upon receipt of your rental application, contract, and checks, you will be given written confirmation of your reservation date. Failure to return the Clubhouse key in a timely manner (within 3 days) will result in a charge equivalent to the cost of rekeying the Clubhouse. The $500.00 security deposit will be returned after inspection of the clubhouse. In the event of damage to the facility occurring during the rental, the security deposit will be withheld, repairs arranged by Ledgewood Association, and the cost for such repairs billed to the renter if in excess of $500.00 or the difference refunded, if less than $500.00. Repairs are to be performed only by persons commissioned to do so by the Ledgewood Association Board. Security deposits where no damage occurs will be refunded with 7 to 10 days after the function. A $15.00 administrative fee will be charged for all checks returned for insufficient funds. The Association is not responsible for any items left at the Clubhouse. Wedding rentals will have access to the clubhouse beginning at Noon on the day prior to the wedding. ALL TRASH MUST BE BAGGED, tied and placed in the large trash dumpster provided outside the kitchen door of the Clubhouse (see Cleanup Instructions). If a catering service is used, please be sure the caterers are aware of this procedure. Ledgewood Association reserves the right to bill the renter for cleanup of unbagged trash whether in or outside of the trash container. 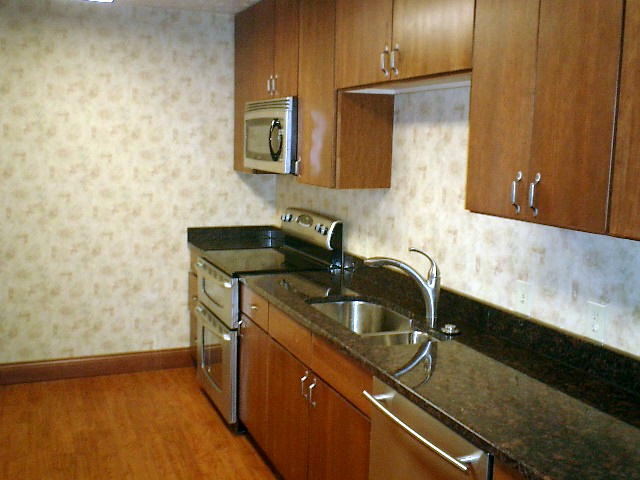 All items belonging to either the renter or caterer must be removed following the function. Failure to do so will result in a charge for removal by the Association?s cleaning crew. 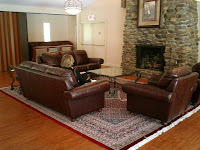 The renovated clubhouse should be treated like you would treat your own home (or better). ONLY residents of Ledgewood in good standing with the Ledgewood Association are allowed to rent the facility and sign the rental agreement. The resident MUST be on site, at the clubhouse, for the duration of the function. The clubhouse is a NO SMOKING FACILITY. There are NO exceptions to this rule. Decorations should be confined to tables. DO NOT attach or hang decorations on the walls, beams, accordion doors, fans, counters, windows or light fixtures. There are to be NO PUSH PINS OR TAPE applied to or on the facility. Violators will lose their security deposit. Please turn off all appliances when through using them. Remove all items from refrigerator and freezer by the end time of your event. Any items not removed by this time will be discarded by Ledgewood staff and the renter charged for the time required to clear the kitchen. 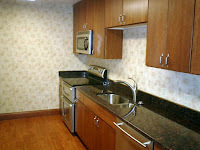 Garbage bags and filters for the coffee maker are provided for any clubhouse function. Place ALL garbage in trash bags before placing them in the dumpster. The Ledgewood Association will repair any damage occurring as a result of the renter?s event and the cost of these repairs will be billed to and paid for by the renter. Lifeguards are REQUIRED at all events between Memorial Day and Labor Day (or end of the swim season if it extends beyond Labor Day) if the event goes beyond 8pm, the normal pool closing time. As the clubhouse can be rented until midnight, a lifeguard fee will be charged in addition to any rental costs, during the swim season. The number of guards is dependent on whether the renter wishes to allow swimming at the event. Two guards are required if no swimming will take place, three if the renter wishes to allow swimming at the event. There are no exceptions. The renter must contractually specify if the event is to end after 8pm so the Association can provide the necessary number of guards. The event cannot, for safety reasons, extend beyond normal pool closing time if an incorrect ending time was requested and the appropriate number of guards are unavailable and you will be required to vacate the premises. Wet clothing is not permitted in the party room including bathing suits and towels at any time. NO alcoholic beverages are permitted OUTSIDE the building. NO glass is permitted OUTSIDE the building. Use of tables and chairs is at the discretion of the renter. Setup of tables and chairs is the responsibility of the renter. Chairs must be folded and racked and tables must be wiped off and put away by the ending time of your event as specified in the rental contract. Please remember to leave the facility as you found it. If is not in satisfactory condition when you first arrive, please let us know immediately.